Spymaster, defector, double agent-the remarkable true story of the man who ran Russia's post-cold war spy program in America. From 1995 to 2000, a man known as 'Comrade J' was the highest-ranking operative in the SVR-the successor agency to the KGB-in the United States. He directed all Russian spy action in New York City and personally oversaw every covert operation against the United States and its allies in the United Nations. He recruited spies, planted agents, penetrated security, manipulated intelligence, and influenced American policy, all under the direct leadership of Boris Yeltsin and then Vladimir Putin. He was a legend in the SVR, the man who kept the secrets. Then, in 2000, he defected-and it turned out he had one more secret. For the previous two years, he had also been a double agent for the FBI: 'By far the most important Russian spy that our side has had in decades.' He has never granted a public interview. The FBI and CIA have refused to answer all media questions about him. He has remained in hiding. He has never revealed his secrets. 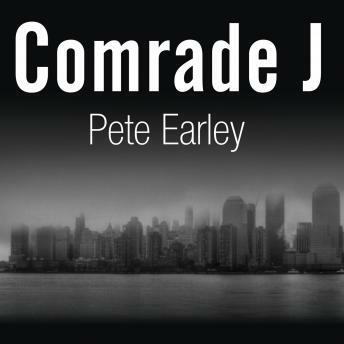 Comrade J, written by the bestselling author of Family of Spies and The Hot House, is his story, a direct account of what he did in the United States after we all assumed the spying was over and of what Putin and Russia continue to do today. The revelations are stunning. It is also the story of growing up in a family of agents dating back to the revolution; of how Russia molded him into one of its most high-flying operatives; of the day-to-day perils of living a double, then triple, life; and finally, of how his growing disquiet with the corruption and ambitions of the 'new Russia' led him to take the most perilous step of all.